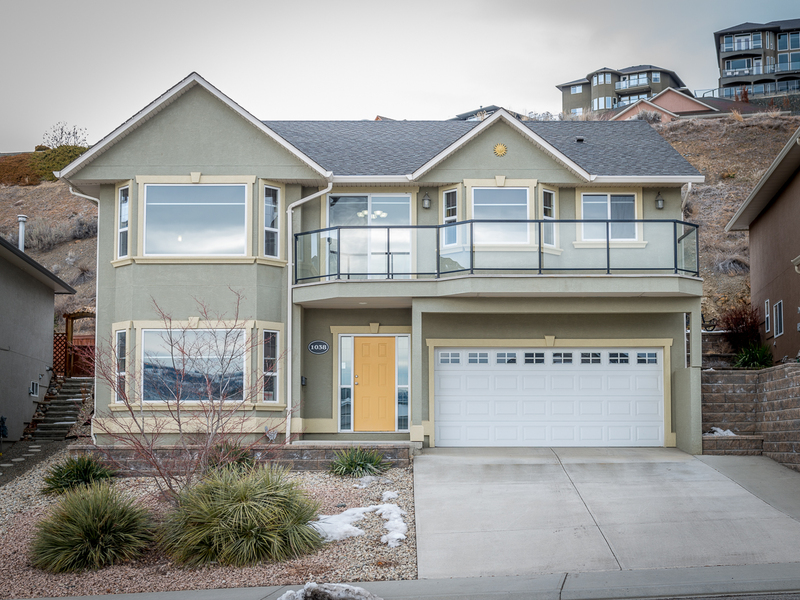 New Listing: 1064 Latigo Drive, Batchelor Heights, Kamloops, BC $569,900. Beautiful Batchelor Heights home that is fully finished and features RV parking. The main floor of this home includes a great room open floor plan with large kitchen that leads to the covered patio and fully fenced yard. There are large windows with vaulted ceiling in the main living space to take in the views and let in lots of light. 3 bedrooms on the main floor including a large master bedroom with ensuite featuring a separate tub and shower. There is an additional 4 piece bathroom on the main. The basement level includes a nice office off of the main entry which could be a bedroom. There is an additional bedroom, large family room, laundry room, storage and 3 piece bathroom in the basement level. There is a double car garage, 220 amp and hot/cold water in the garage, RV parking plus double driveway, irrigation, central a/c, fully fenced property and all appliances included. Day before notice for showings and no showings after 6:30pm. Possession can be no sooner than early July. 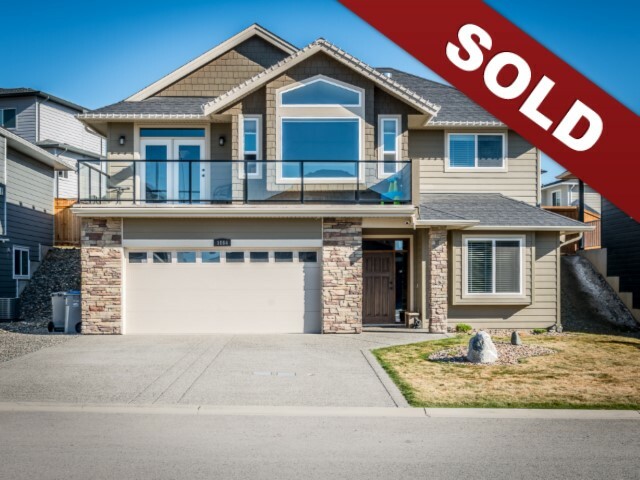 New Listing: 1038 Norview Road, Batchelor Heights, Kamloops, BC $474,900. This immaculate Batchelor Heights home is move in ready! Featuring 3+1 bedrooms and 3 – 4-piece bathrooms. Open concept living room, dining room and kitchen, that is extremely functionable with tons of cabinets, and boasts amazing city views from all main living areas, bonus front deck off dining room. There is a gas fireplace in livingroom. Master bedroom has walk-in closet, ensuite, and easily accommodates king size furniture. 2nd bedroom upstairs has a patio door accessing a low maintenance patio area with little or no yard work. Basement level has large, bright family room perfect for entertaining, additional bedroom, laundry, and storage area, and bathroom has heated tile floors and jetted tub. Central air, all appliances (washer & dryer 2016), HWT 2016, 100 amp service (2 panels). Access to double garage off entrance. Front yard is xeriscaped for low maintenance living and enjoyment. Close to all amenities. Easy to show and quick possession possible. 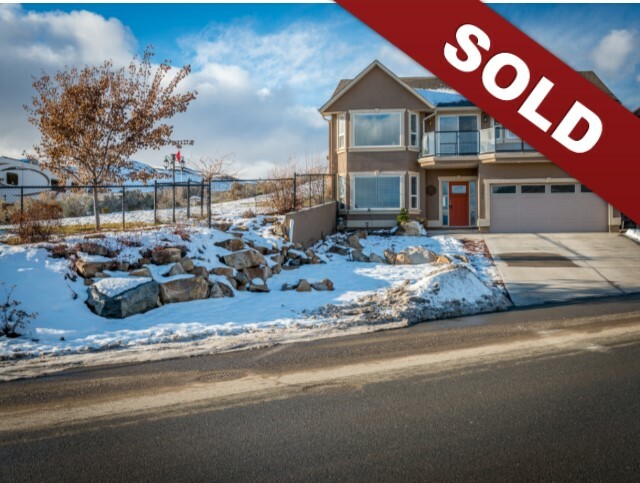 New Listing: 2003 Saddleback Drive, Batchelor Heights, Kamloops, BC $599,900. Rare 0.43 acre property in Batchelor with tastefully updated home and backing on to green space. This home has had a number of updates over the past year including kitchen, all flooring, paint, master ensuite, landscaping and more. The main floor features an open floor plan with front patio that overlooks the lovely view. The main living space has a gas fireplace, large living room and the kitchen has a eating nook and a ton of storage. Take in the beautiful views from every window of the living space of this home. There are 3 bedrooms on the main floor, the master bedroom has a walk in closet and 4 piece ensuite. There is a large main bathroom and 2 additional bedrooms with access through one to the huge yard. The basement level has a family room, large storage area, dedicated laundry room, 4th bedroom and additional 4 piece bathroom. The yard is something you won’t find in this area. There is awesome RV parking, room for your boat and RV. There is a large patio, hot tub, large storage shed and a ton of grassy space for the kids to run. Easy access to the Lac Du Bois grasslands park through a back gate. Perfect place to bike, hike or go for a run. Other features include 2 car garage, lots of driveway parking, central a/c. Day before notice for showings. Note: a detached shop cannot be built on the property. 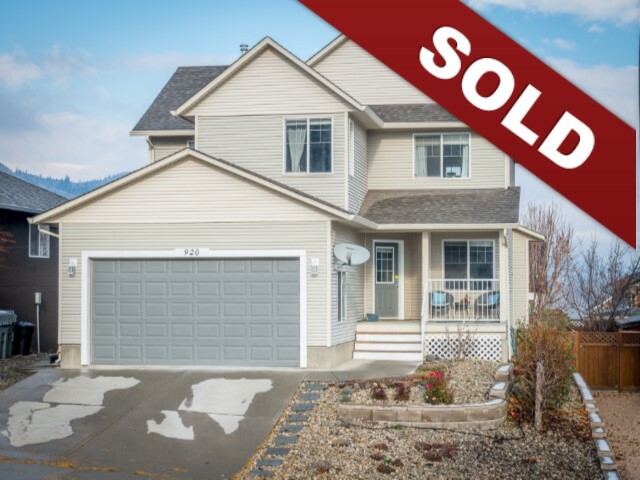 New Listing: 920 Quail Court, Batchelor Heights, Kamloops, BC $559,000. Lovely 2 storey home Bachelor Heights located on a cul-de-sac with a 2 bedroom in-law suite. This home features a great room open floor plan on the main floor with a bedroom/office off the main entry. The living room has a high ceiling open to the second level. The large kitchen has a lot of cabinetry. Main floor walks out to the back patio with beautiful yard featuring fruit trees and a hot tub. The second level has 3 bedrooms, and 2 full bathrooms. There is a 2 car garage, main floor laundry and central a/c. The basement level has a cute 2 bedroom in-law suite with separate entry. 24 hours notice minimum for showings.